Spacewalk Mystery (7445) takes Joe back to space, just like the 1969 set. The difference this time out os joe is sporting a nice blond flocked hair-do. 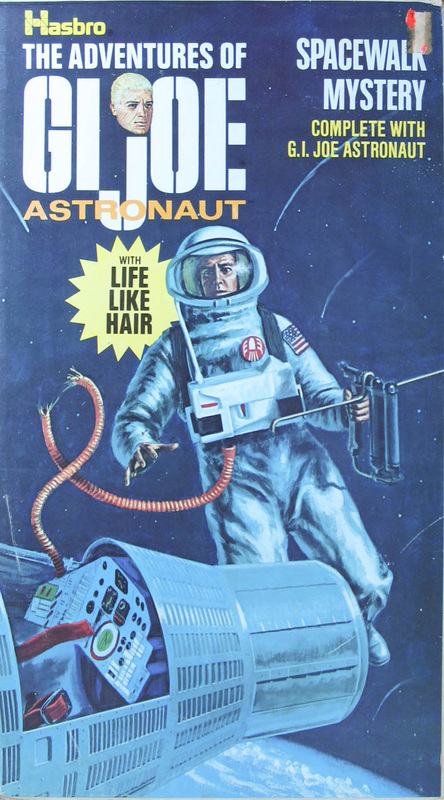 Occasionally brown hair versions show up in this box, but blonde is considered to be the standard non-talking astronaut. 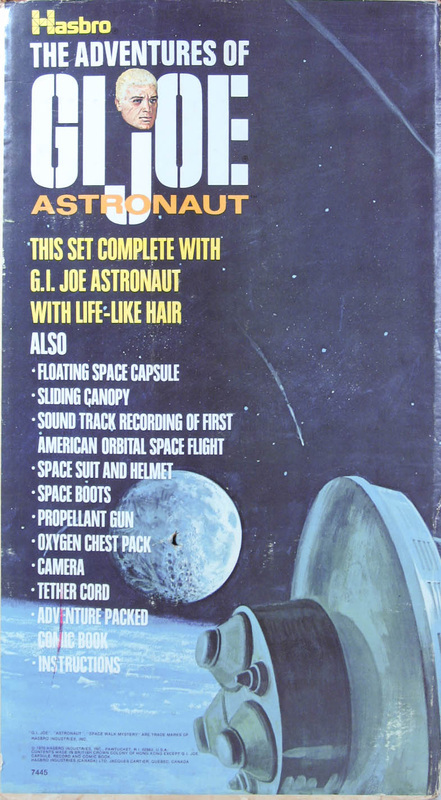 The blonde flocked figures were used in occasional Man of Action boxes, and the 1970 Talking Astronaut is usually a blonde, though again, brown haired figures do sometimes show up in those boxes. 1970 was the last year the space capsule was formally available, though overstock likely stayed on shelves for a few more years. The suit for this set is the single zipper version and should sport a red rocket sticker on the chest. The example in the set shown above is missing that detail.